For Jedediah Parish all roads sort of lead back to Elvis Costello. The first time Jed sang with Losers Lounge was the E.C. tribute at Fez in 2002. 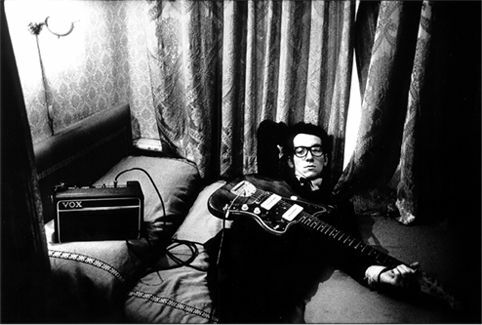 But Costello was the big songwriting and singing influence, particularly for Jed’s rockandroll band The Gravel Pit. Reviewers, friends, strangers would say “You guys sound like Elvis Costello & The Attractions” and Jed would say “Thank You”. Sometimes fellow musicians would dismiss the band as an Attractions rip-off in a saucy, adversarial manner, and Jed would say “Thank You. What bland, unmemorable band does your band pattern itself after?” Those days are gone, but Mr. Costello rears his head again. Jedediah Parish sings backups and lead on an as-yet undetermined song with Losers Lounge at Joes Pub for their tribute to Elvis Costello.